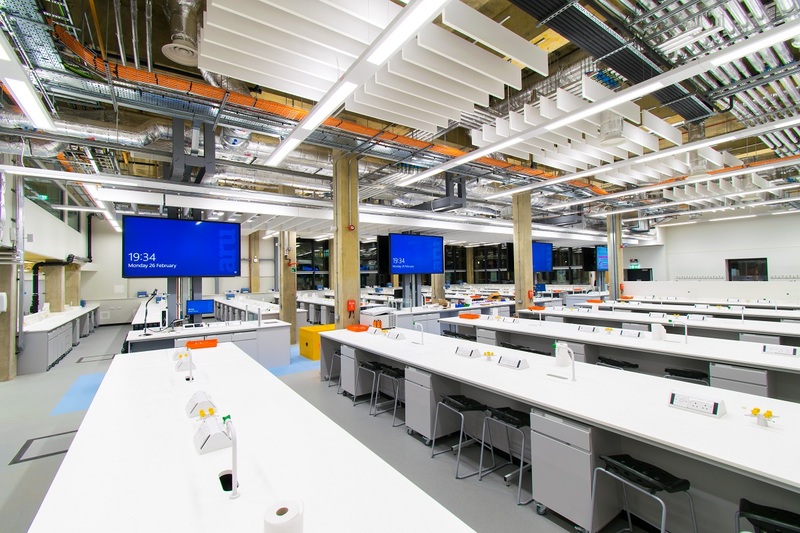 How can AV systems be designed to teach larger cohorts, at the same time, in a building with teaching spaces adapted specifically to deliver advanced Biomedical / allied STEM training? 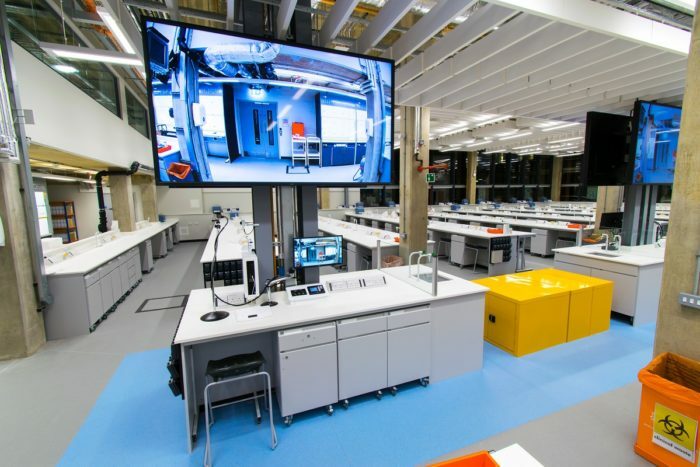 Scale-up the Superlab concept – up to 200 students, and four separate lectures simultaneously. 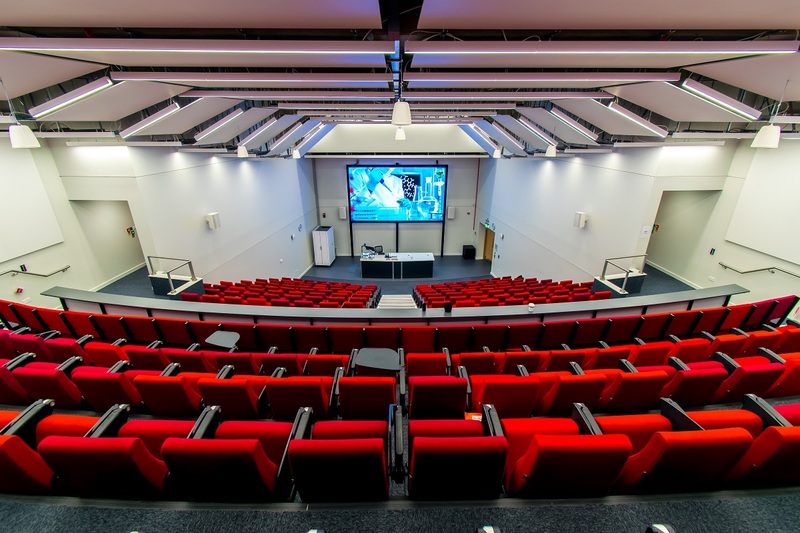 Large 300-seater lecture theatre to successfully accommodate larger cohorts. 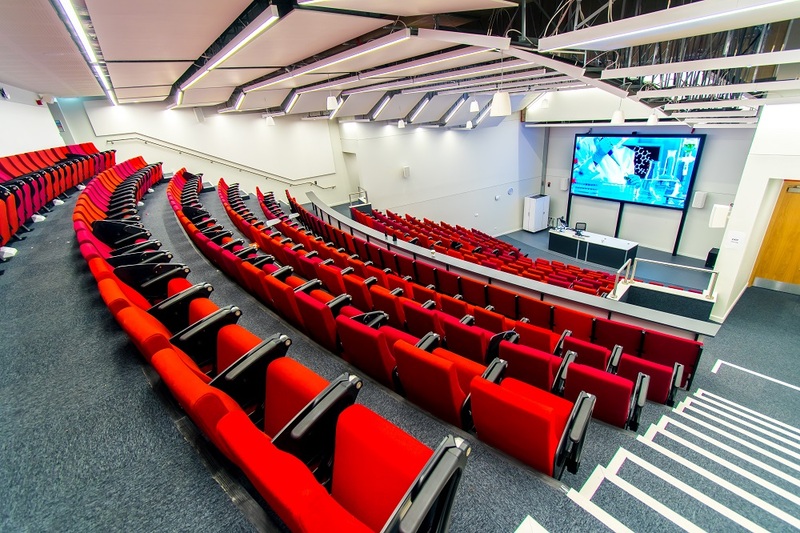 Find a solution to the lack of projection position in the lecture theatre. Find a solution to latency in the deployment of AV over IP. Standardised design and integration: to enable ARU to simply scale up existing designs according to room size and layout. Reliability: fool-proof systems guaranteed to work right, everytime. 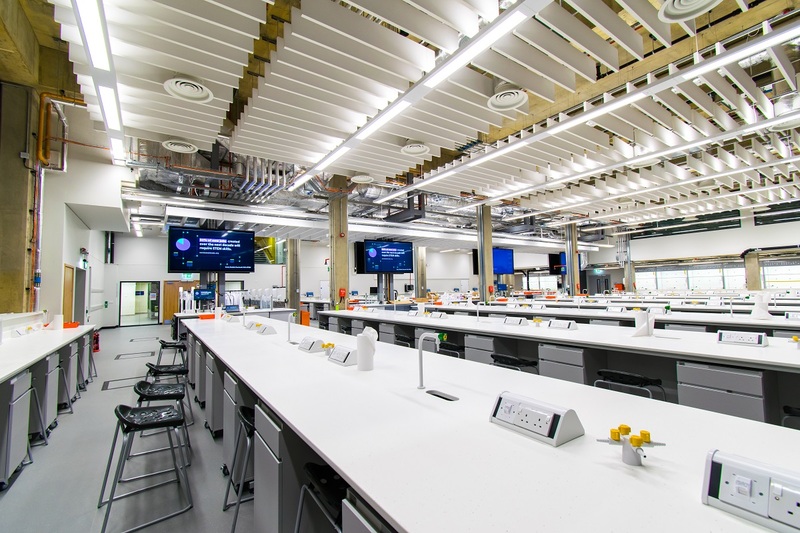 SCALING UP A HIGHLY SUCCESSFUL PROOF OF CONCEPT – Superlab, Chelmsford. Timetabling up to four separate lecturers in one lab, for 200 students at the same time, and even when lecturers are not at the same desk as their respective students. 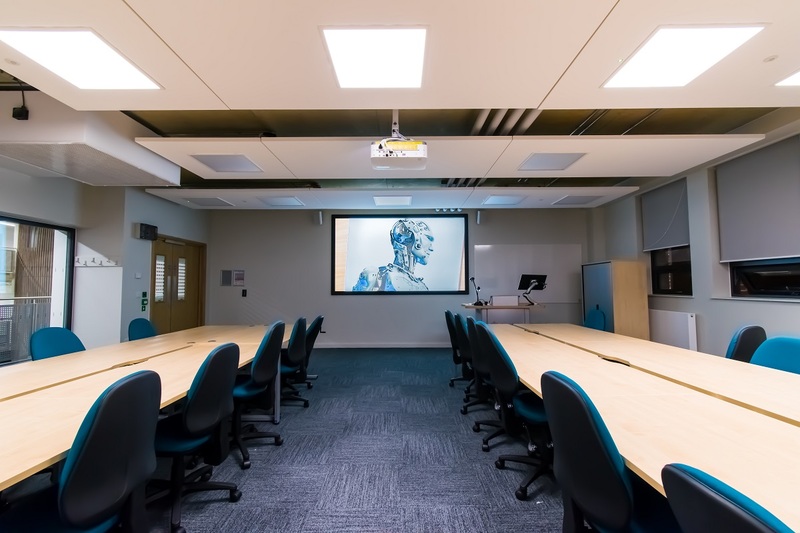 Each lecturer position is equipped with a high-res camera facing the lecturer, an installed PC and GoPro Camera (ideal for environments handling corrosive chemicals and water) on a snake mount. Audio distribution is via radio frequency headphones available to each student. 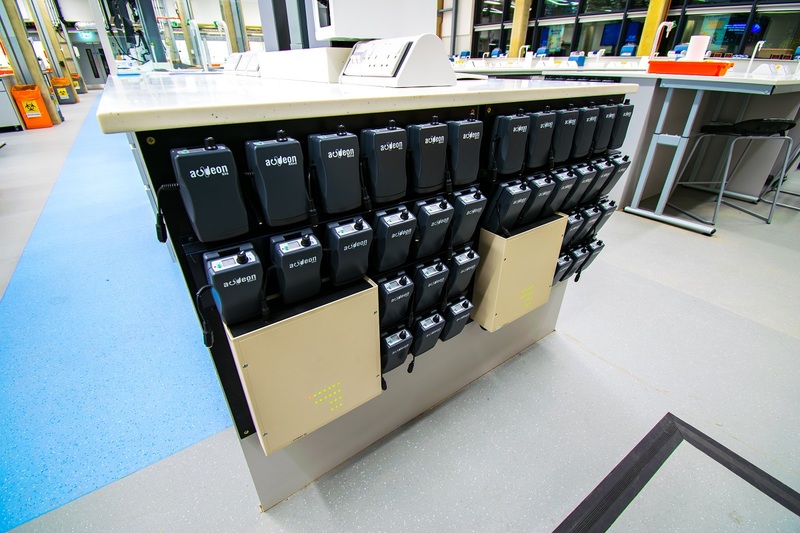 Each lecturer also has a ULXD digital wireless microphone transmitter which is distributed long with any content from the lecturer fixed PC, laptop or other connected audio source. 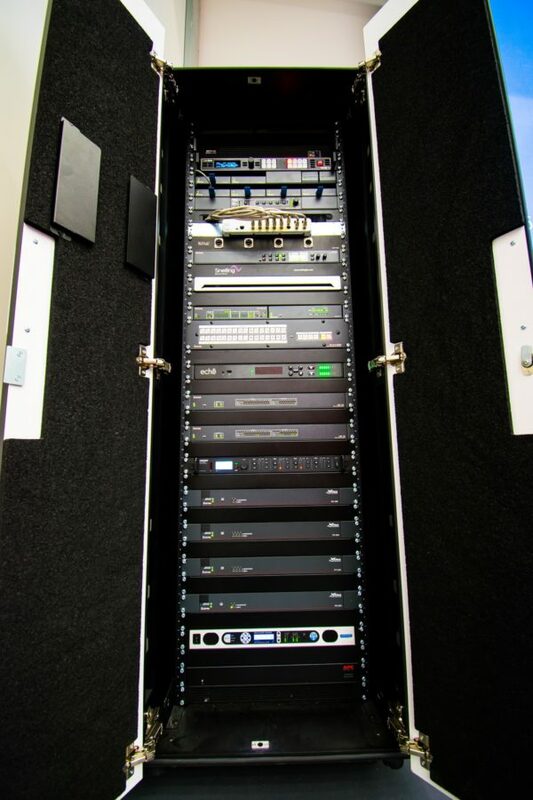 Microphone feeds are received by a ULXD4Q Quad receiver, with antennas mounted at high level within the laboratory, and the receiver unit in the main AV RACK. Presentation audio from the lecturer PC’s / Laptops runs along with the video feed over CAT6A infrastructure to the main AV rack. Students use a clip-on radio receiver which allows the selection of any one of the four lecturer audio feeds. These receivers are compatible with ‘personal induction loops’ which provide for DDA compliance. HDBaseT technology was integrated into the system because it did not exhibit any noticeable latency, as opposed to H.264 particularly while using a soft codec. While soft codecs can be far more economical, they are also dependent upon PC performance (outside of our control), and which contravenes the clients’ emphasis on ‘system reliability’. Therefore, when lipsync is a critical requirement, HDBaseT was the ideal choice to solve the challenge of latency. 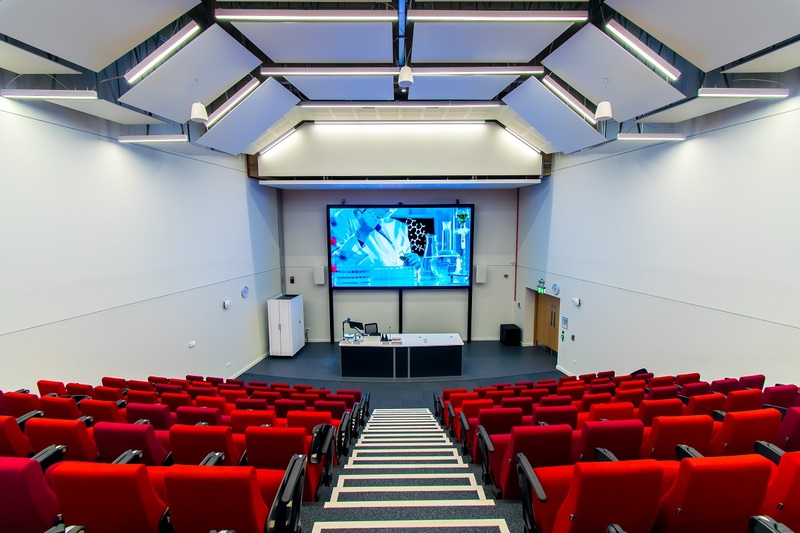 Capable of accommodating up to 294 students, the AV infrastructure ois specified and designed to be entirely user-operated, and therefore there isn’t a technician booth. The system was designed to hide the complexity of its dedicated infrastructure, for external users of the space including conference and seminar speakers. The physical characteristics of the theatre rake and the lack of space for rear projection precluded the use of projection. 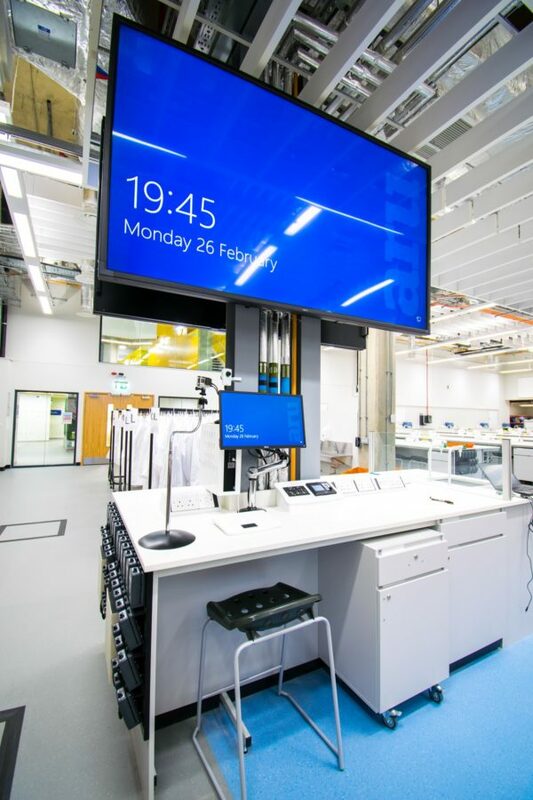 An LED Video wall was another option, however the tile effect posed by the bezel makes it less feasible when intricate detail in FHD quality content (for example, microscopic bone density renders) is critical to training. Therefore, the solution was a large High Definition LED display. 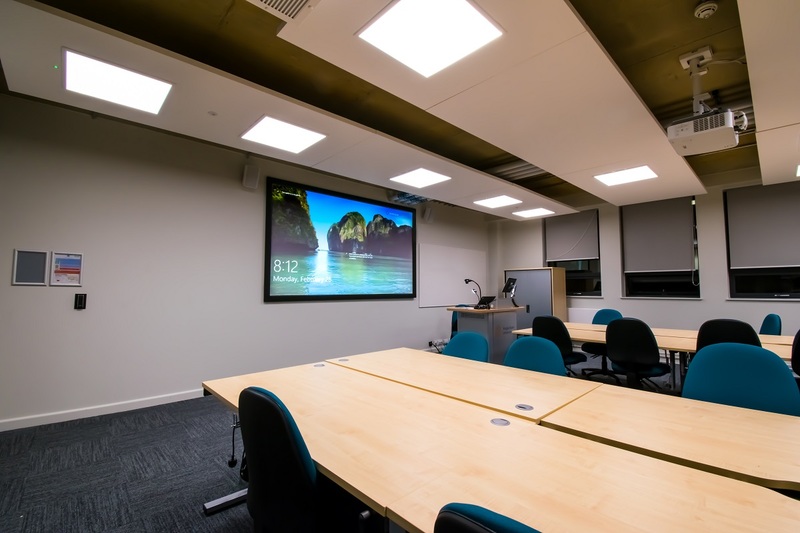 There are over ten classrooms, training and meeting spaces standardised by specification, but flexible enough to accommodate AV equipment best suited to their physical layouts – for example, a projector instead of an FHD display. The specifications of the AV infrastructure are fully standardised, and designed to effortlessly adapt to physical characteristics of each room type. Download the full case study PDF to read full specifications of individual spaces, innovation as well as special features. Read the ‘FULL SPECS’ of the project. Click ‘download’ below. How can Audio Visual infrastructure help build a global community of business leaders under one roof, in spaces which resemble workspaces more than classrooms? 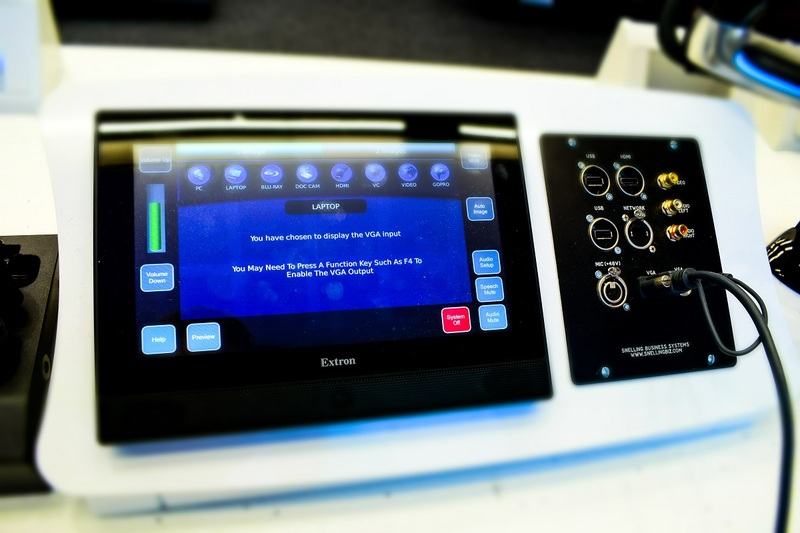 How can Audio Visual infrastructure help train new aviation engineers, while supporting the revenue goals of a brand new, purpose-built academy?